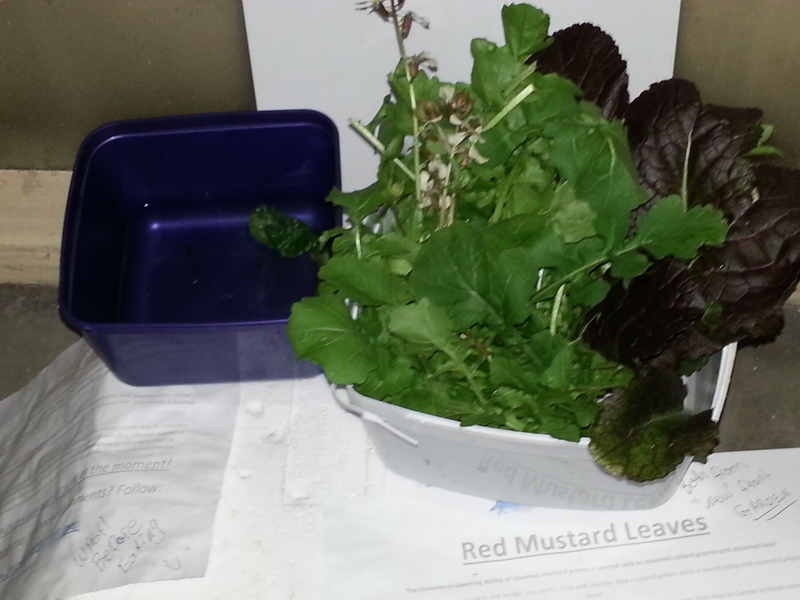 Tonight’s harvest harvest is a bit exciting as it all came from the ‘new’ East Side Strip!Tonight we have fresh Rocket (Arugula) and Red Leaf Mustard Greens! The Rocket has been grown from 3rd generation seed and I plan on collecting seed from this years crop too. Its good knowing the great-great grandparents of each of the Rocket plants grew here…. After an epic migration from the local Safeway! You tink anyone reads the notes? I was so happy when I came home a few minutes ago and checked into the foyer (as i do each time i come in) and saw that the last of the Tatsoi had gone. YAY! hope someone is eating it right now! Tatsoi has been a real star in the garden this season…. much more successful than the Pak Choy. This is the 3rd time I’ve left Tatsoi in the foyer and there is still heaps more in the garden and in a planter on the fence.